The city of Amarillo, TX, is sitting on 90% of the world’s helium supply. Aha, I hear you say, that might explain the association with Texas and hot air. But if you’ve read my previous blog, you’ll know that Texas has a lot to brag about in my book. 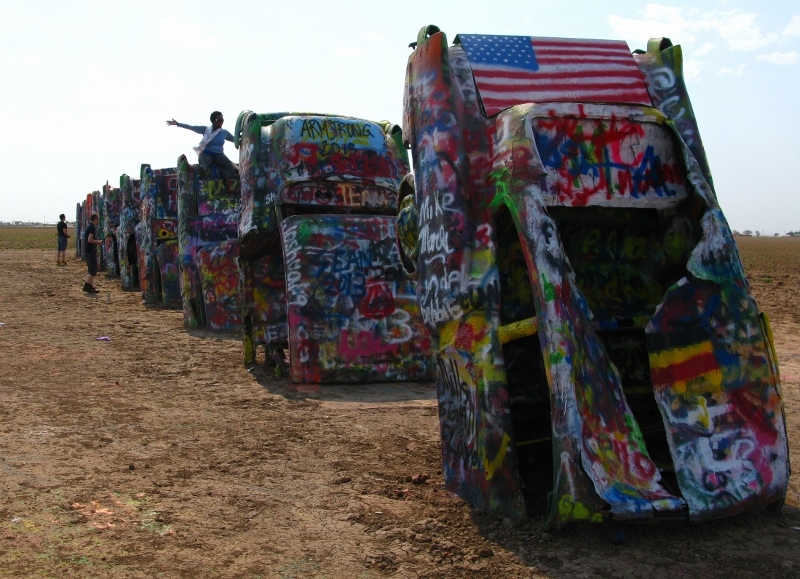 We stopped by Amarillo to see the Cadillac Ranch and it was worth the drive. I have a thing for odd people – strange people – people who think a little outside the box and march to the beat of their own tom-tom and Texas has its fill. 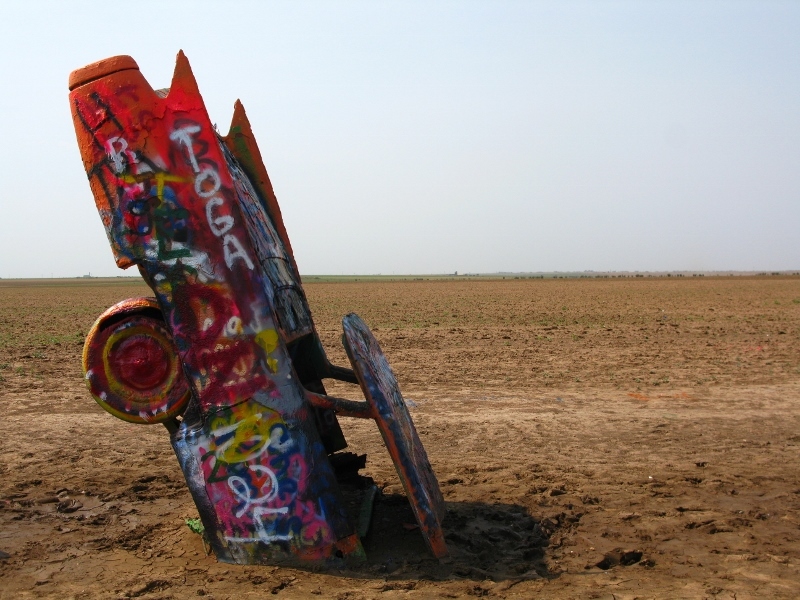 This Cadillac Ranch art exhibition sits in dirt ground alongside the I40 and historic Route 66. It was installed back in 1974 by Chip Lord, Hudson Marquez, and Doug Michels, hippies hailing from San Francisco, who together formed an art group called Ant Farm. The cars are models that date from 1949 to 1963 and all share the Cadillac name and the tail fin that was unique to that period. All are buried nose-first in the ground – at an angle that supposedly corresponds to the Great Pyramid of Giza in Egypt. I didn’t have my compass so can’t verify. The man with the money behind this exhibition is a local millionaire Stanley Marsh III well known in the city for his patronage of artistic endeavors which, I hear tell, include a massive billiards table that can only be seen from the air. He’s also responsible for a series of road signs (the Dynamite Museum) that tell travellers that the ‘Road does not end’ and state ‘I dream of you coming home to me’ and urge people ‘when you come to a crossroads, take it’. I love this man! 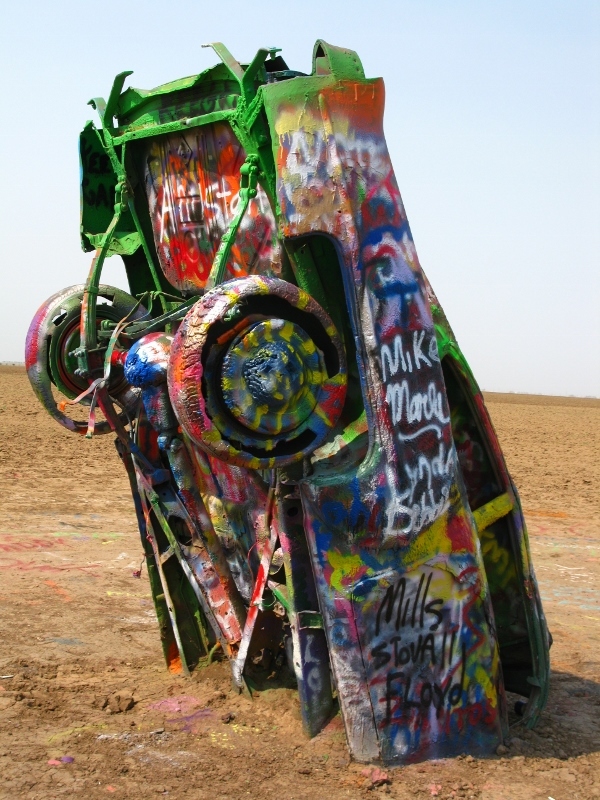 When the ten Cadillacs were first installed, it wasn’t long before someone took some spray paint to them. Rather than fight the penchant for graffiti, Marsh decided to embrace it. Cans of spray paint can be found on site and visitors can paint what they want in the knowledge that in a matter of hours, their message will be replaced by bolder, brighter colours. 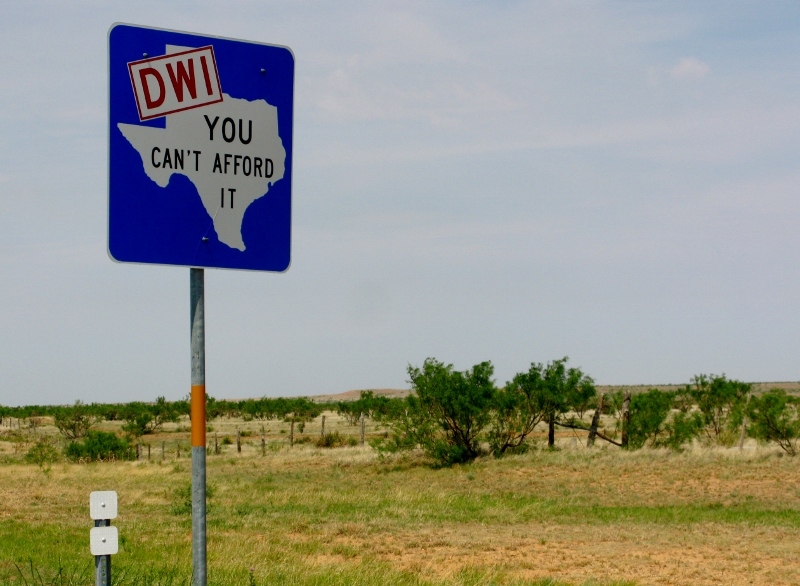 Texas is a state of mind. Texas in an obsession. Above all, Texas is a nation in every sense of the word. And there’s an opening convey of generalities. A Texan outside of Texas is a foreigner.